Tannoy is a legend in many markets. We still hear the expression 'Tannoy System' for when people are referring to say, announcement systems at shopping malls, and it is also revered for its recording studio monitors, having made ones big enough for me to live in! 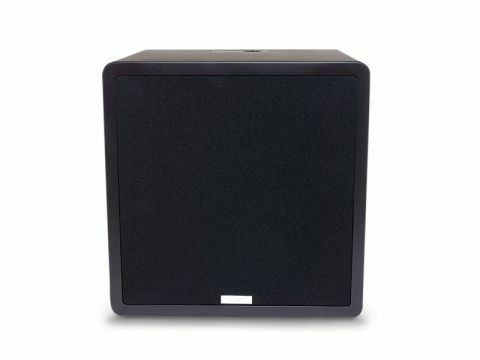 Lately it has been getting right on the home cinema case with both superb HCC-award-winning high-end sets and entry-level square-corner speakers for folks on a budget. But bass? Well a huge studio monitor rumbles, but subwoofers are a specialist side to the speaker-maker's art and Tannoy has previously left me wanting. Its new three-strong TS series woofers do look like the part, though, and I reckon they provide deeply superior performance to what's been offered in the past. I auditioned the biggest model, the 12in TS1201, as my viewing room isn't small. There's a 500W amp in its guts and it looks a bit like a retro 1970s coffee table in its dark brown finish. Which is fine with me. Around the back are sockets to stick a set of speaker wires and a stereo phono pair. Although you cannot use both under independent control as with some better subs, Tannoy has taken the dual importance of line and speaker level on board. Enormous amounts of bass information are regularly left out of the LFE channel whilst solidly present in the L and R and the TS range truly benefits from its ability to connect both simultaneously. I used Coraline on Blu-ray as a test disc – there's a wonderful bit right at the beginning of the DTS-HD MA soundtrack as the arrival of a main character is presaged with a thunderstorm. I found control and weight to be a class above the brand's last offerings and the sheer grunt makes it obvious that the money has gone to the right department. This is a really strong box and a really beefy driver with a good magnet and suspension. I am such a saddo I would have liked to have been able to take the grille off just to see the driver in action, but it isn't meant for removal. All in all, the TS1201 is a smart and potent woofer, more than worthy to wear such a prestigious name.